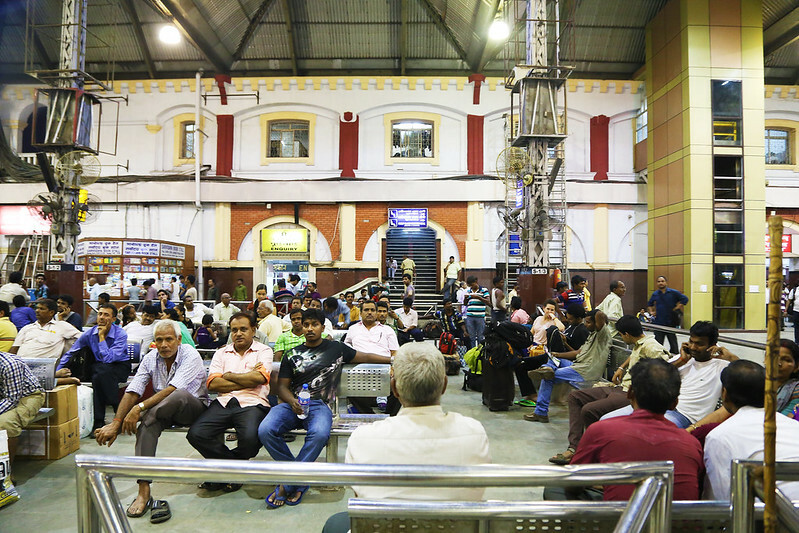 So we needed to make our way from Kolkata to Varanasi, and the best way to do it was by train. 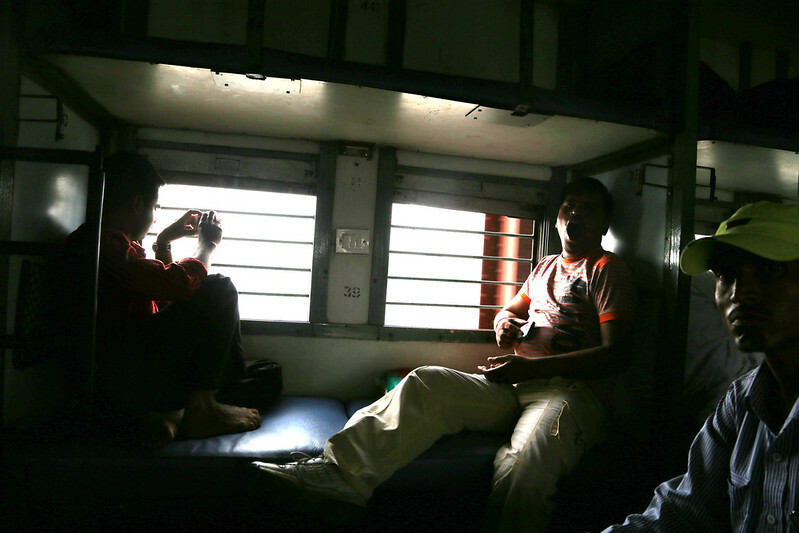 I had already taken many trains in India so I knew that I preferred the “worst” way of going, the “2nd class, sleeper” – this is the by far cheapest way to travel in India – there is no air-condition, there are a lot of strangers, the windows only have bars in them, and you sleep on a bench. 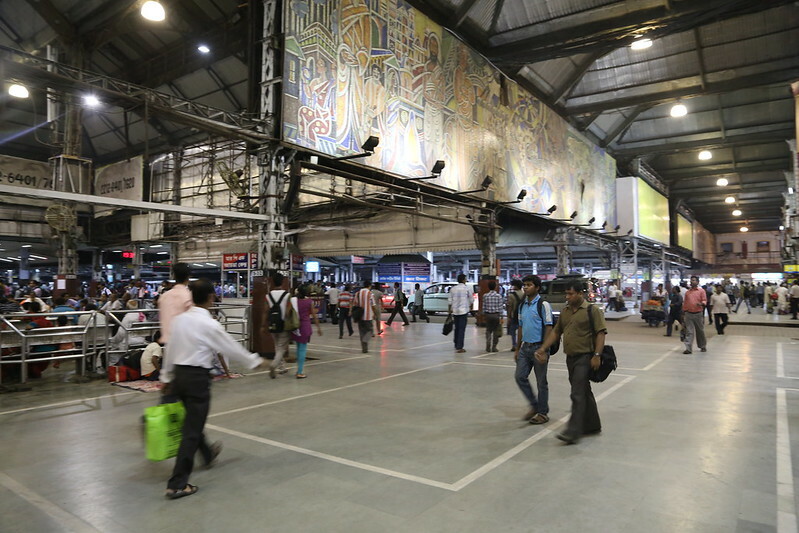 The reason I prefer this way of travelling is because it’s not as cold as in AC compartments, and I really don’t like to be cold – and that you get to see much more. People, views, chai-salesmen, food, strange-fruit, randomness. And it’s half the price of the AC choice. The price wasn’t too important in this case, but made much of a difference when travelling for months like I did last time. Question was if my mother was going to be as thrilled about going the “authentic way”. I booked the ticket for the 20:35 Doon Express, pushing for us to get the top beds as I knew from experience that those are the only one’s that stay up all day. This means that you can keep your things safe and hang out up there without having to sit and wait until people decide to start going to sleep. We got them. And got onto our train. When we got in, my mother freaked out a bit. “Wow – it’s so dirty! Are there cockroaches here?” she asked. “Probably somewhere” I answered. (Maybe I should have stopped there.) “Maybe the flying one’s..” .. “Wh-what? !” By that point I started feeling guilty and selfish. Maybe my mother wasn’t as curious to “do it the Indian way” as I was. Maybe I should have chosen the more comfortable option now that I wasn’t travelling solo. But after a while she said, as if reading my worried mind, “You know what? This isn’t so bad.” It warmed my heart and I could finally relax. And when it got a bit chilly in the night I was very happy that we were not in the AC compartment. We both really dislike cold. A thing I thought about was how the presence of staring men felt different now than in 2010. They looked hostile somehow. Were they really staring in a different way? Was it all the recent horrific news stories that had planted fear in my head? Was it the fact that I felt like I needed to protect my mother? Was it only the Kolkata-Varanasi route? (That I hadn’t done before.) Had I gained paranoia with age? I’m not sure. But at times I felt like I wouldn’t have been able to fight fear if I would have been alone in there. 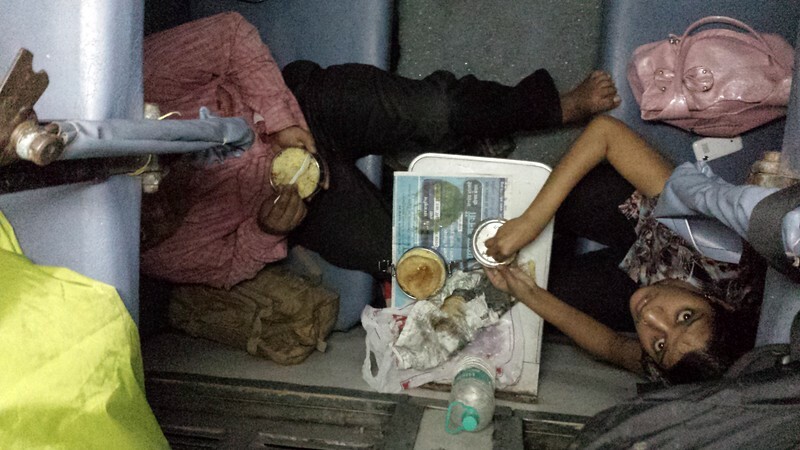 I remember taking a mental note to remember not to travel alone in sleeper class by night on this route. And that’s a big contrast to how I felt about it last time. But still, at some point in the middle of the night I got up to watch the passing landscapes. It was completely dark outside, and sometimes just after the smaller train stations, there were little villages where big bonfires were lit and people were just waking up to start their day. 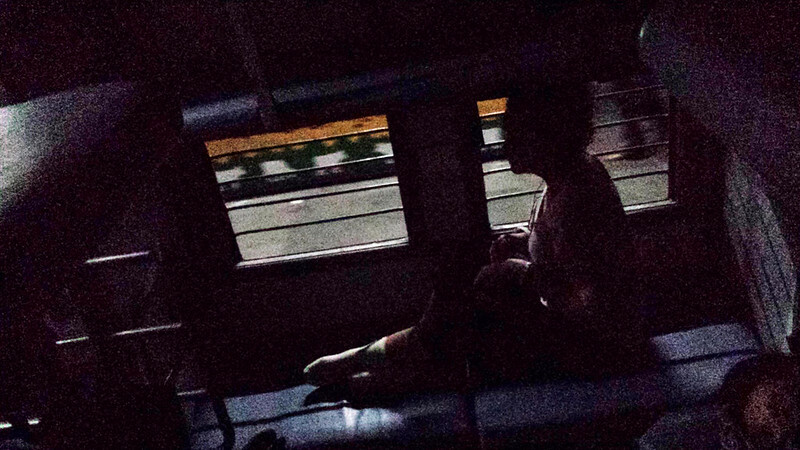 Watching them from the inside of the moving train, with the world passing by on the outside, the wind stroking my face, the rest of the train sleeping, and music in my ears, was like reconnecting to last time I had done exactly the same thing. I reflected over the huge difference between travelling alone and in company, and realized I couldn’t fully detach and enter a state of emptiness when accompanied simply for the reason of always being aware of the presence another person. It was still peaceful, beautiful and fulfilling, but in a different way. I went up to sleep. And my mother went down to sit in the same spot later on. 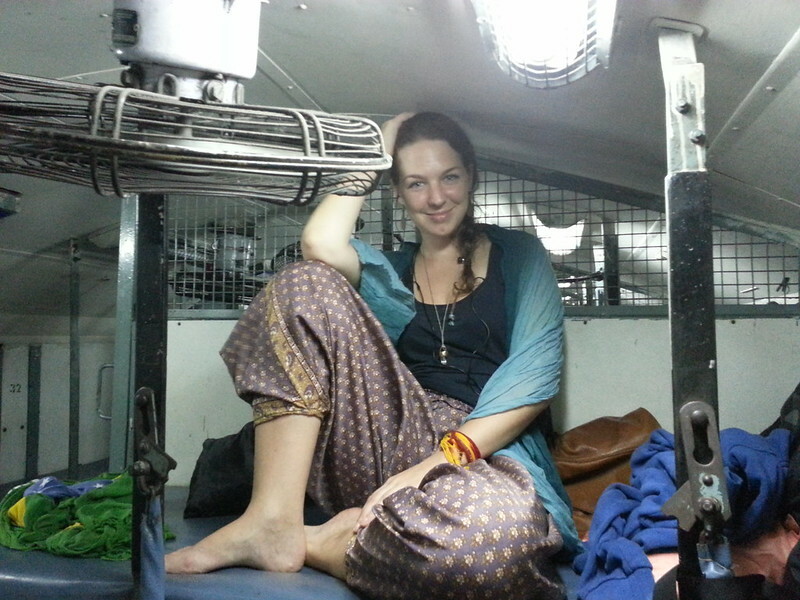 One does not simply go by train in India without entering a state of awe. We got up in the morning and people were being chatty and friendly. 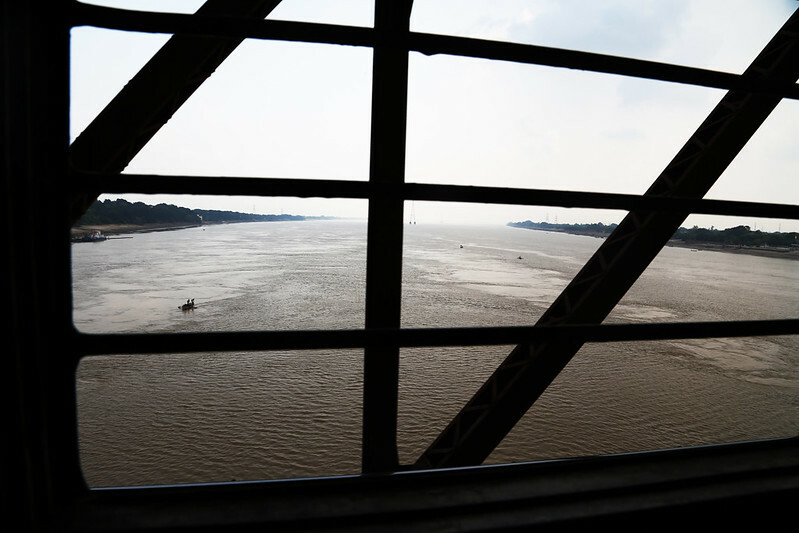 When crossing the Ganges and entering Varanasi we were only one hour late and had less than half an hour left of our 15 hour train ride. 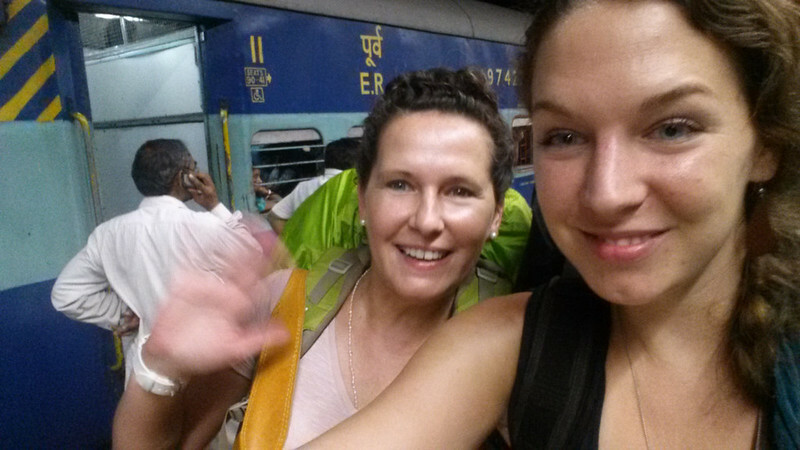 We had officially survived the overnight train from Kolkata to Varanasi. The cheapest way to do it. 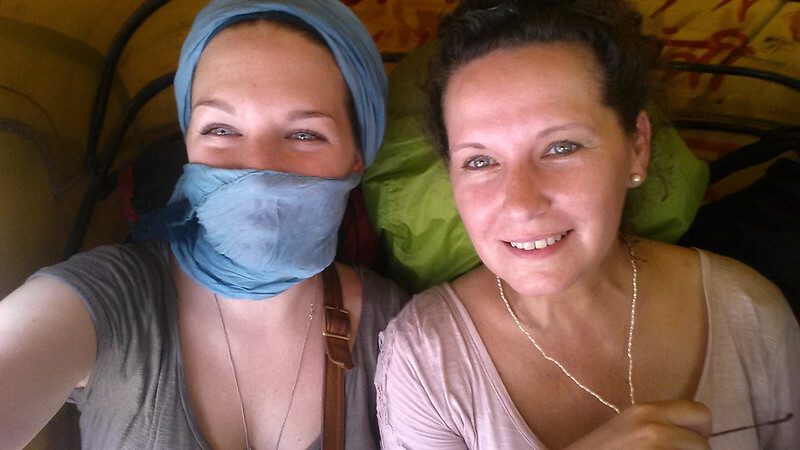 “We did it!” my mom said when we arrived and got into our rickshaw. 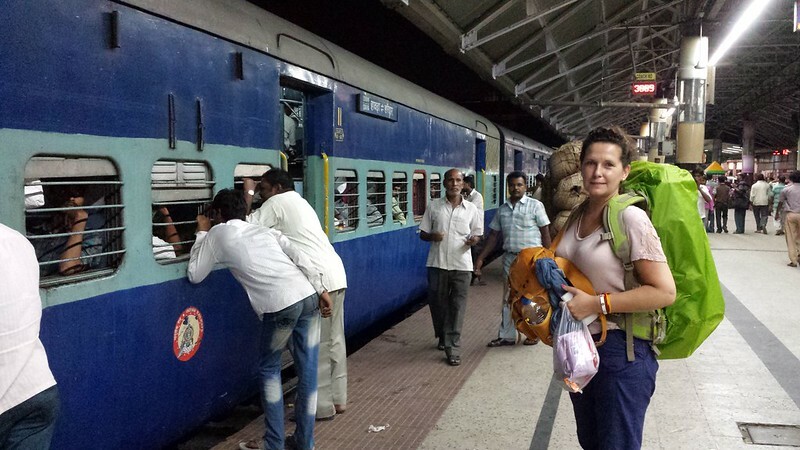 And I might already have gone many hours by train in India before, but I felt the same way. This had been different. We did it. Previous post: Why, thank you! Caroline, this is such a lovely warm and fond story of an adventure with your mom.This journey will be a fabulous memory in later years ! Some lovely photos too. I particuarly love the ones i saw on your facebook where the boat is coming into the steps followed by your mom taking an image of you taking the image. Thanks for your kind words, hope all is well with you over there in the rainy lands. Hi Carolina I am happy to read your experience you shared here. Have you been to Uttrakhand? Explore this state you will love it lot.